Another healthy weekend on the ‘box as the Supercars hit Phillip Island. IT was a tale of two races at the WD-40 Phillip Island SuperSprint as FOX Sports continued their strong start to the 2019 season with a further uptick in those watching this year. Saturday’s Race 9 of the championship was viewed by 125,000 people, down 10% on the same race last year (139,000). This was potentially due to the clash with Formula 1 qualifying from China that had some overlap with the Supercars race, drawing 81,000 and possibly some viewers away from the Supercars. 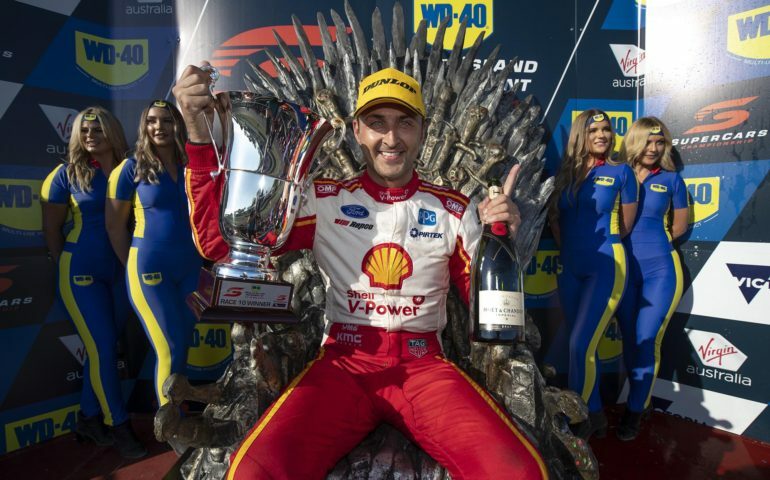 Sunday, however, continued more of the gains seen throughout this year with a healthy 156,000 tuning in to see Fabian Coulthard win for the first time since Winton last year. That was 13% higher than the 138,000 that watched Race 10 at Phillip Island in 2018. FOX Sports ratings are up 11 per cent on average this year with only two races rating lower than their equivalent last season. 188,000 people watched the Chinese Grand Prix that started almost straight after the Supercars race, clearly reveling in some rare prime-time F1 for a change. (Numbers are overnight ratings supplied by the ratings agency to media outlets and do not include any additional reporting including time shifted content or broader reach. They also do not include streaming numbers on Kayo or SuperView, etc).